If there’s one area in the house that I want to spend some ME time, it’s in the toilet and bathroom. And I believe there’s no mom who would want to spend some me-time (shower or just sit on the throne or even stare at herself in the mirror or talk to herself in it to find balance) in a dirty area right? No one, I guarantee that. Cleanliness is of top importance when it comes to toilet and bath. That’s why we follow a regular bathroom cleaning schedule. What joy it brings me when I enter the bathroom sparkling clean and nice-smelling as well, because a clean-looking and clean-smelling bathroom almost equates to having a safe dwelling place. I found out during the lunch gathering organized for moms by Domex, that it’s not enough that tiles in the bathroom and the toilet bowl looks visibly clean. If you have kids, clean is not enough, it has to be a germ-free to avoid bacteria-causing illnesses such as flu, diarrhea, gut infections, and even eye infections. I remember just this year, when my preschooler got stomach flu because he touched the toilet bowl and accidentally put his finger in his mouth. I was devastated when we had to rush him to the emergency room. He missed classes and I missed office days too. I don’t want this to happen again, not to my family and anyone else’s. I learned my lesson the hard way. 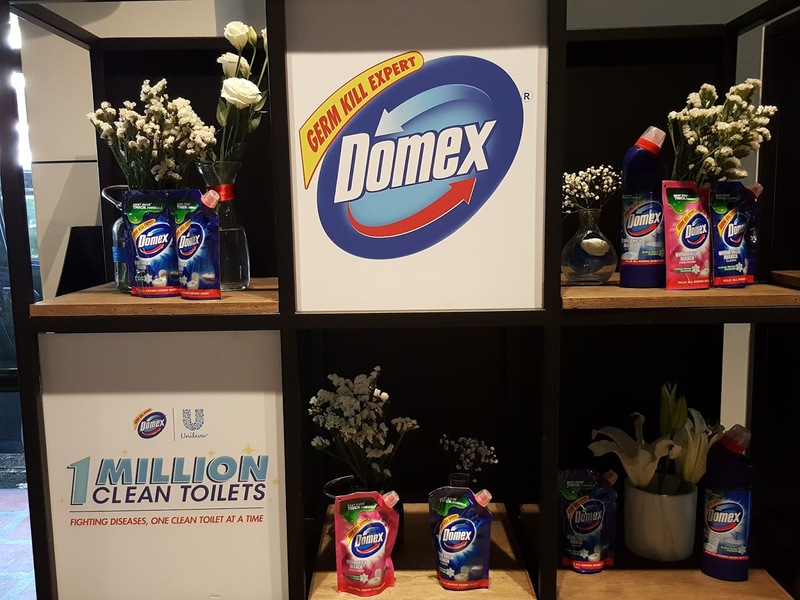 Since then, we use Domex Extra Thick Bleach to thoroughly clean and disinfect the toilet and bath to ensure that it’s not only clean, but it’s germ-free. It’s an easy way to protect my children from getting sick because of these germs. Having a well-sanitized toilet and bath shouldn’t be taken for granted. 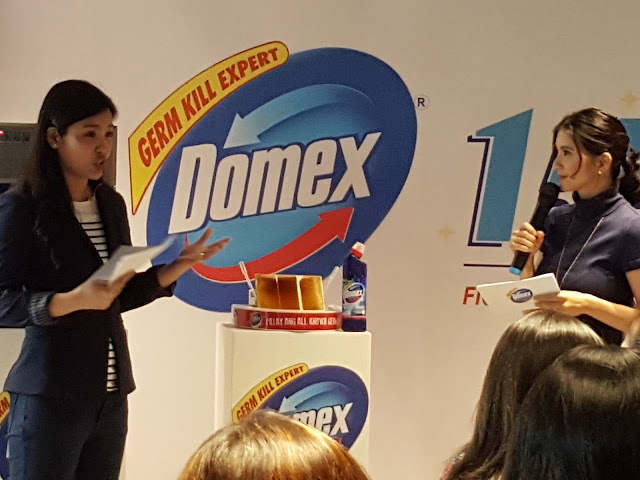 Domex had been active in the One Million Clean Toilets movement in partnership with Maxicare, Philippine Public Health Association, and UNICEF to educate 1 million individuals about proper toilet cleaning. I’m proud to be one of them. In a demonstration done during the event, we were shown that the clean tile without Domex when subjected under the UV light showed it was filled with germs! 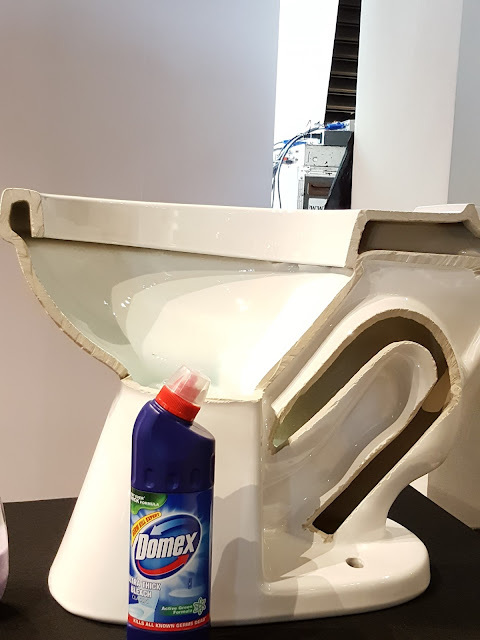 The toilet demonstration also showed that Domex Extra Thick Bleach could help in eliminating the long-staying germs represented by the stains. Domex is more effective than any other regular bleach brands because it’s 100x thicker! 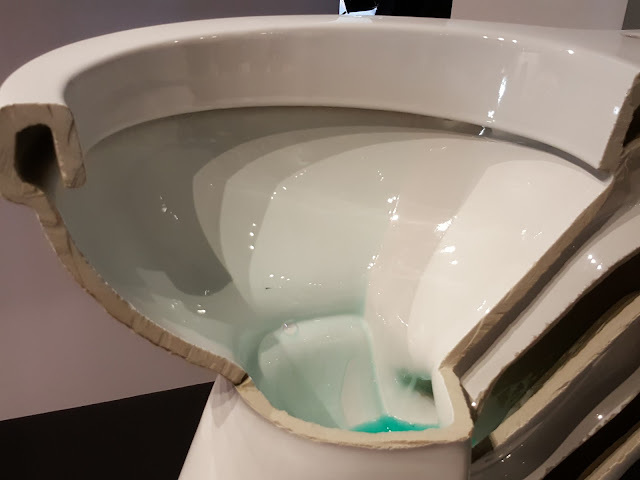 It definitely cleans better, reaches hard to clean areas, it lasts up to 7 flushes, and can kill a wide-range of germs, bacterias, and fungi. Now that’s a brand I can only trust in caring keeping our toilets clean and sanitized; a brand which will help me in protecting my kids from illnesses. Proper sanitation should start at home. In as simple as cleaning the toilet thoroughly, we keep our children safe and protected from harm. 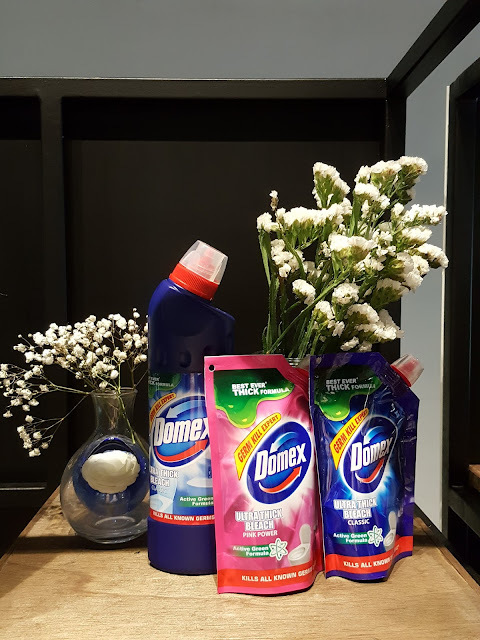 This is the message of Domex to every household in our country. We should be fully aware of the sanitation issue and the only way to go is to use Domex Extra Thick Bleach for our toilets, for the sake of our family’s health and safety. 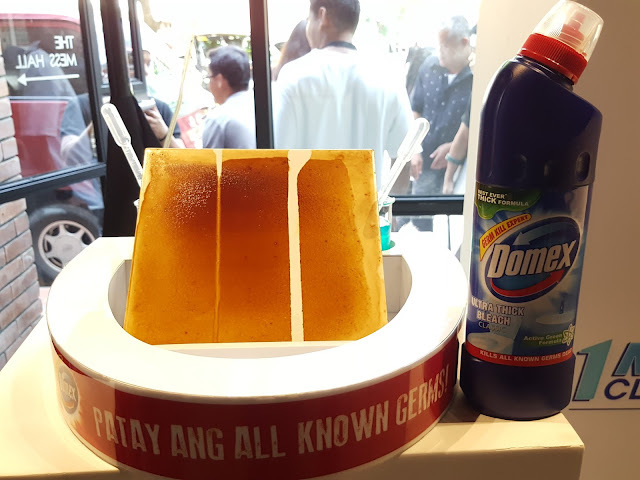 Domex Extra Thick Bleach is available in all supermarkets nationwide for only Php80.00. 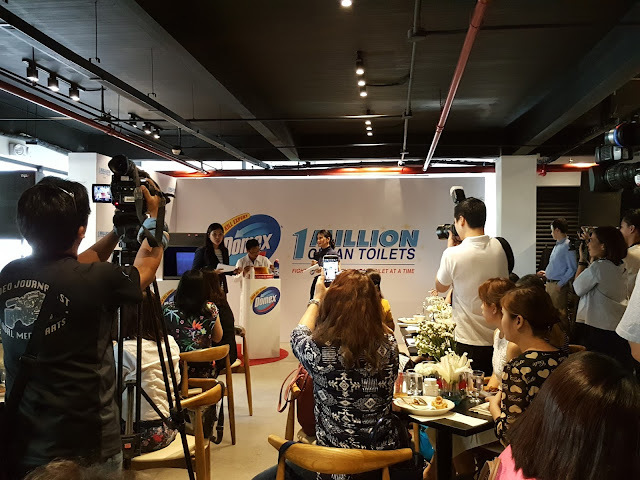 For more updates on the movement, follow their story online with the hashtag #1MCleanToilets and #DomexPH.